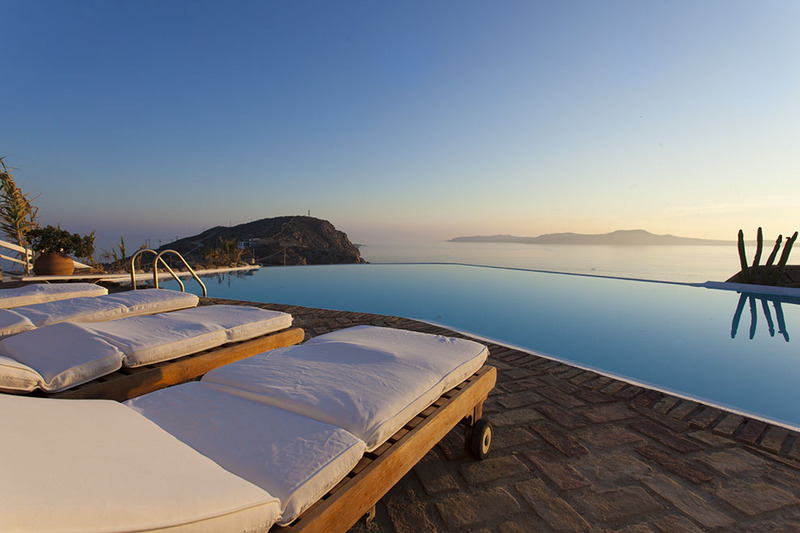 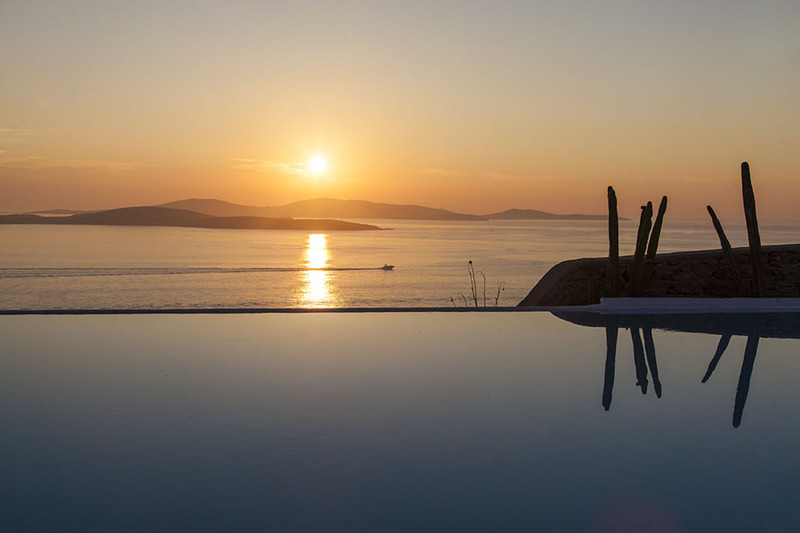 Villa Infinity is located in the south-west of Mykonos in Aleomandra, enjoying the energy of the ancient island of Delos. 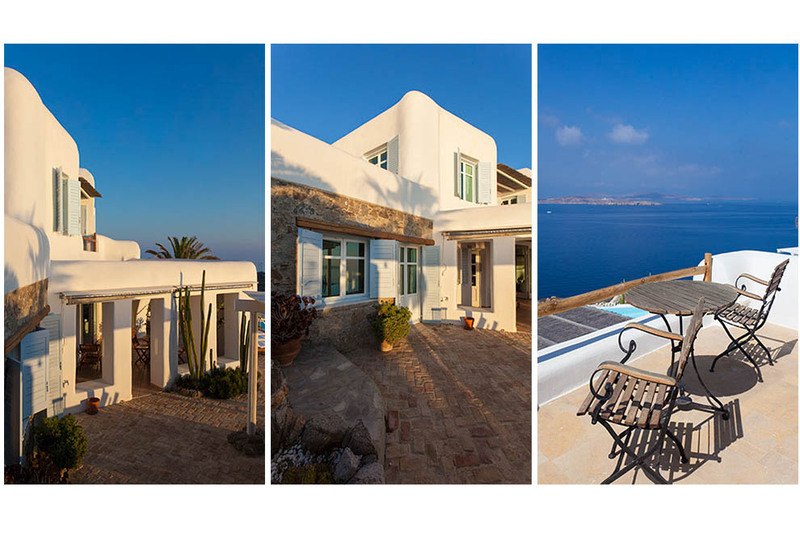 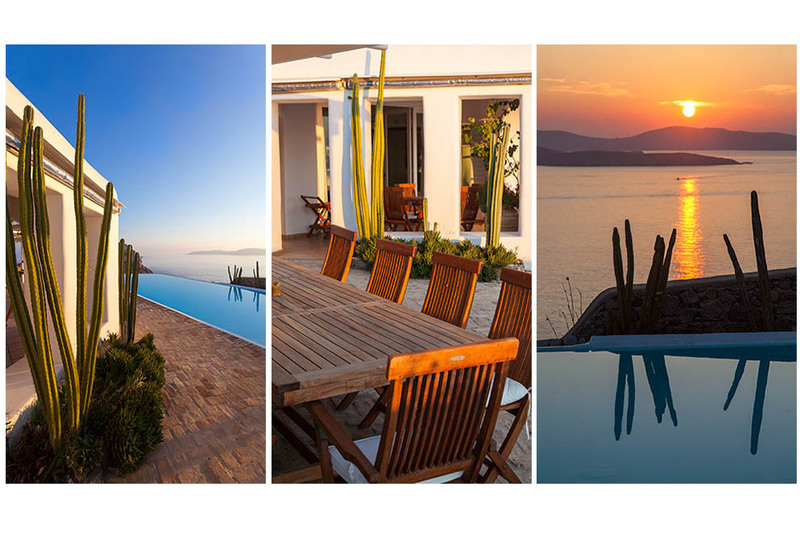 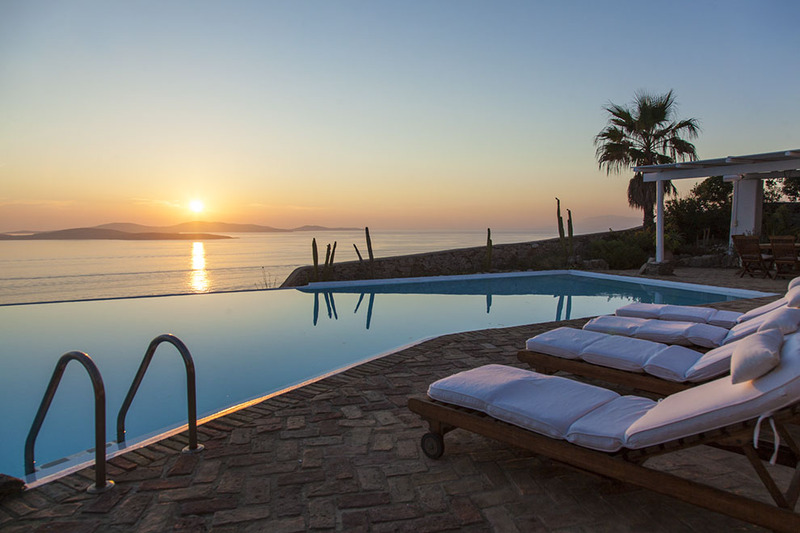 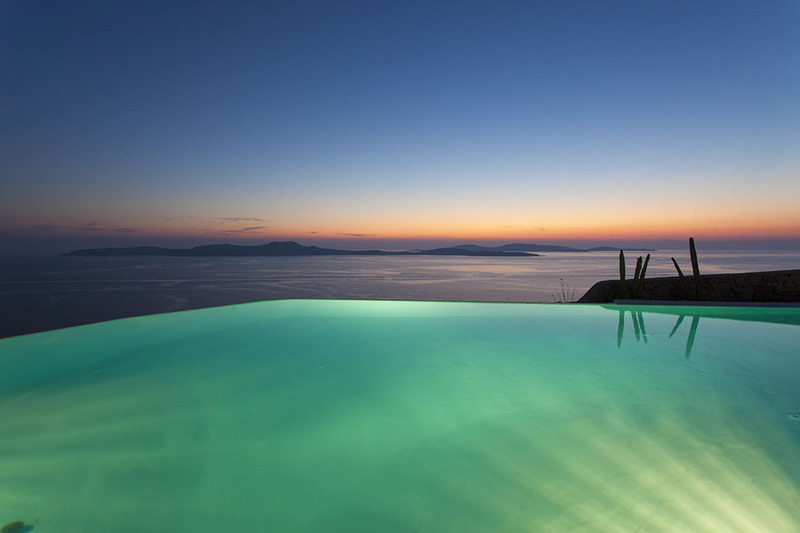 Magical sunsets and captivating views of the islands of Paros and Naxos as well as the magical views of Mykonos. 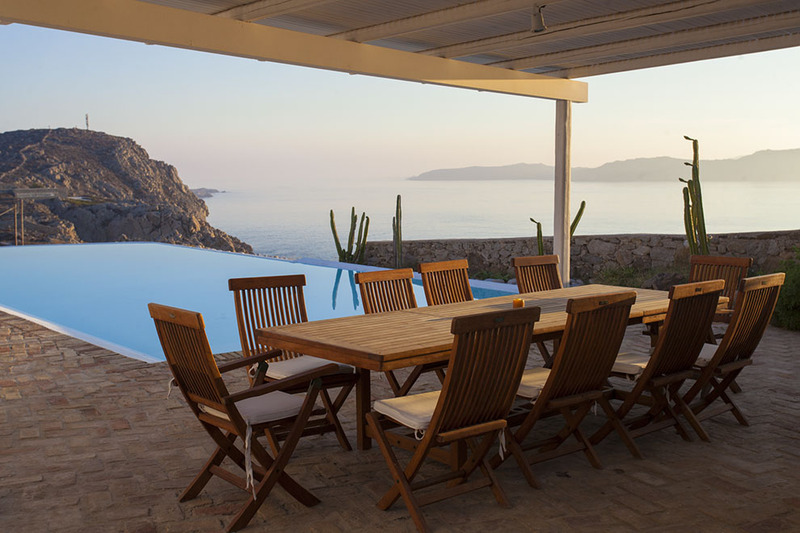 Within reach is the well-known and quiet Saint John’s beach with its golden sands and cosmopolitan restaurants. 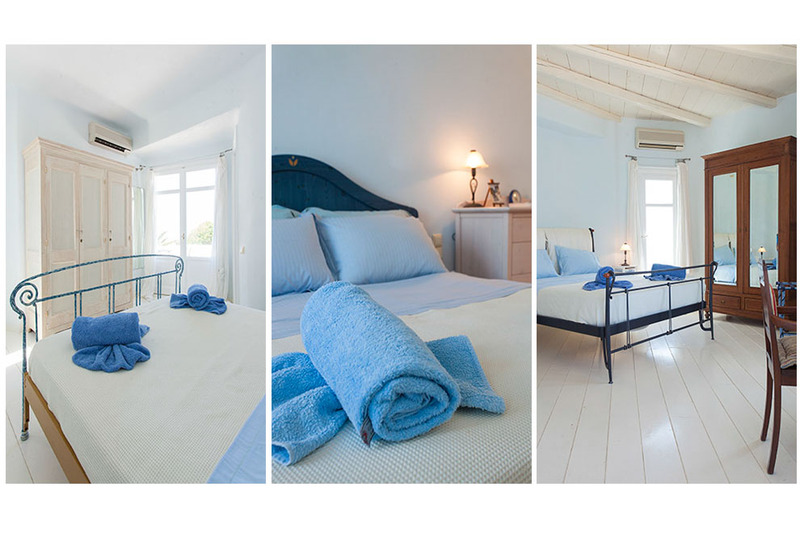 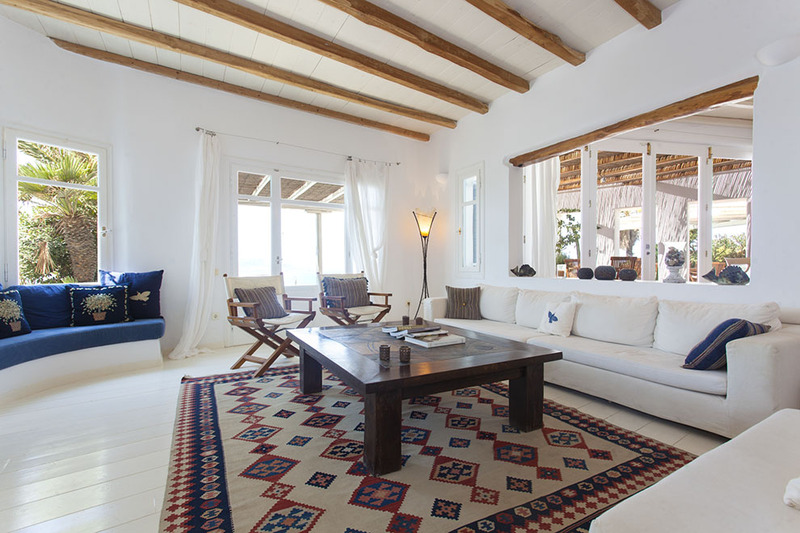 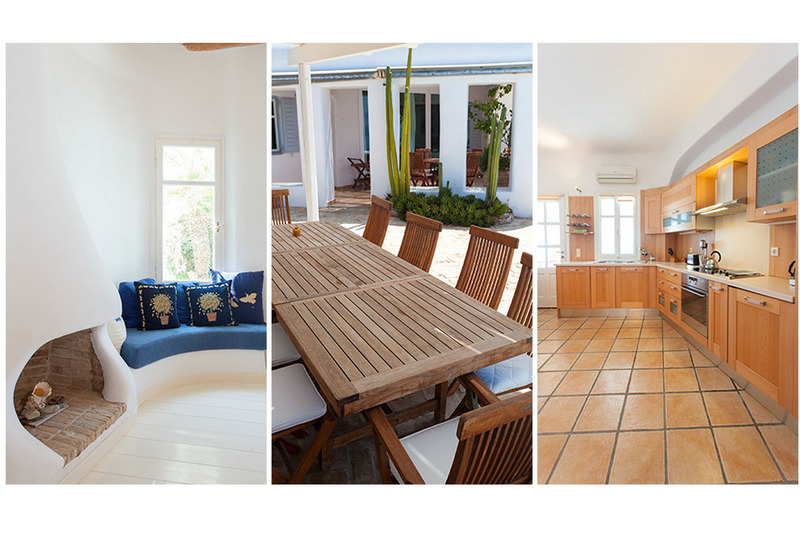 The villa is built according to the traditional Cycladic architecture and is in total harmony with the minimal furniture, creating in combination with palm-trees along with the light Myconian decoration a marvelously environment of hospitality and coziness. 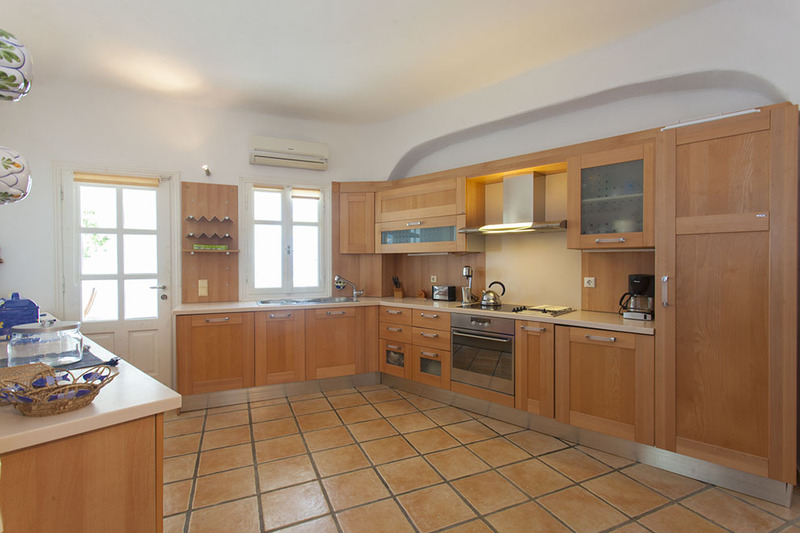 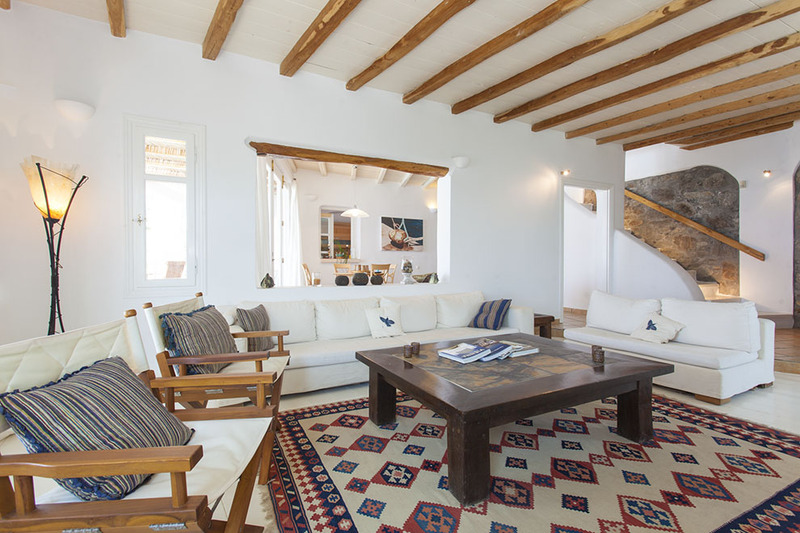 Inside the villa, there is a lovely living room with a view along with a fully-equipped kitchen, both offering direct access to the magnificent exterior. 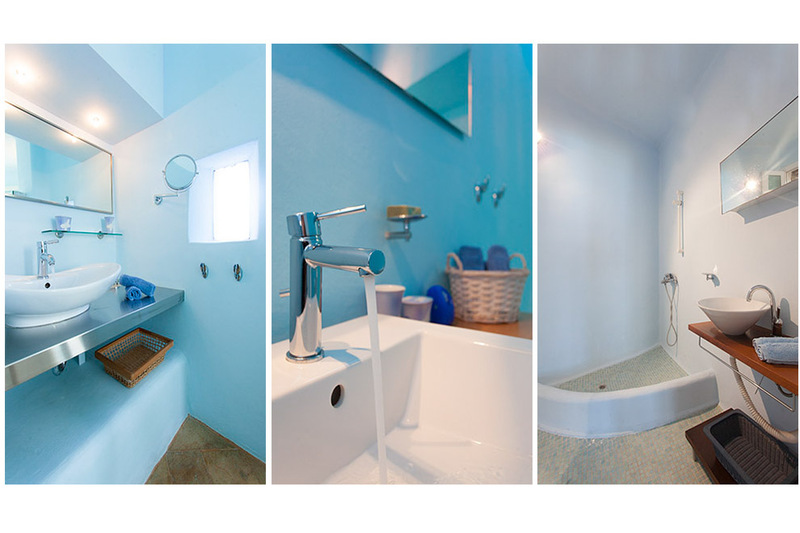 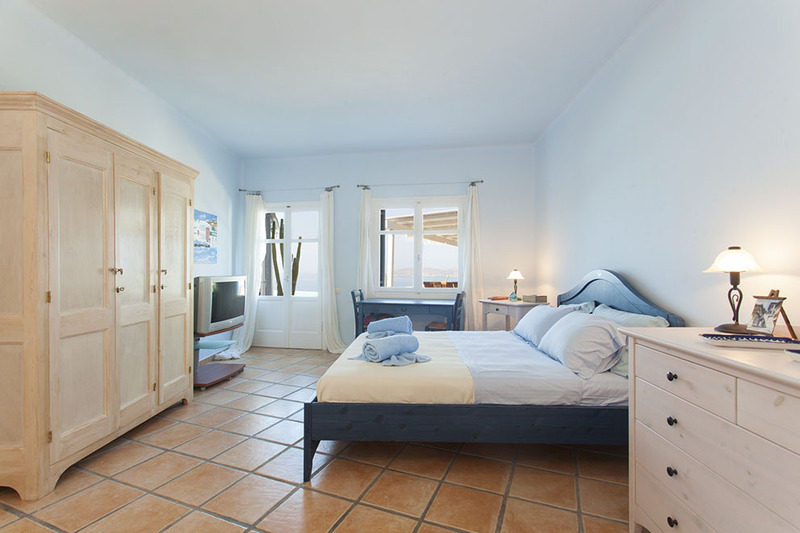 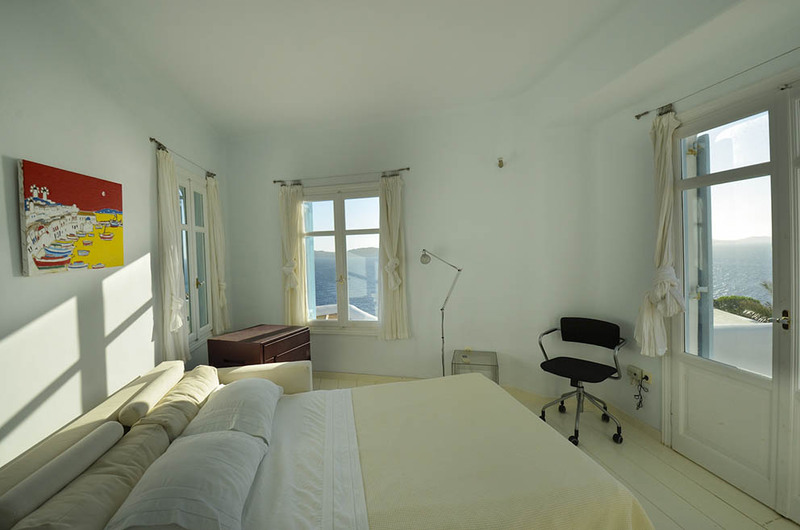 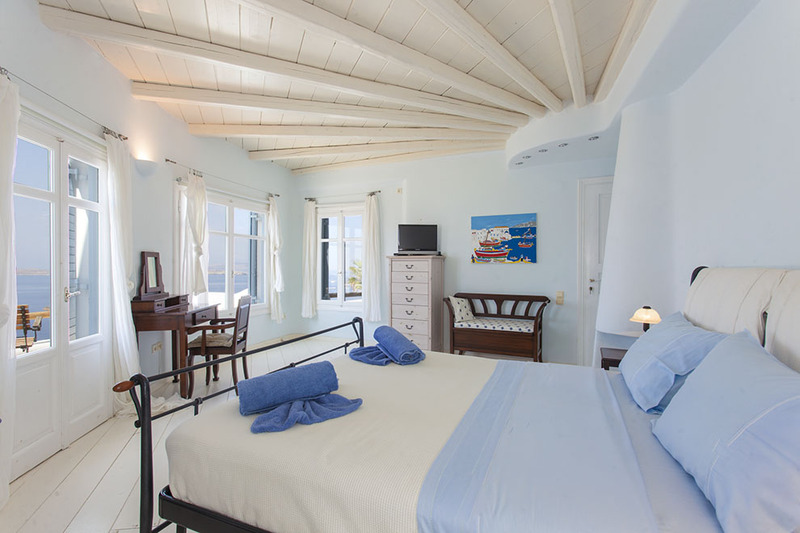 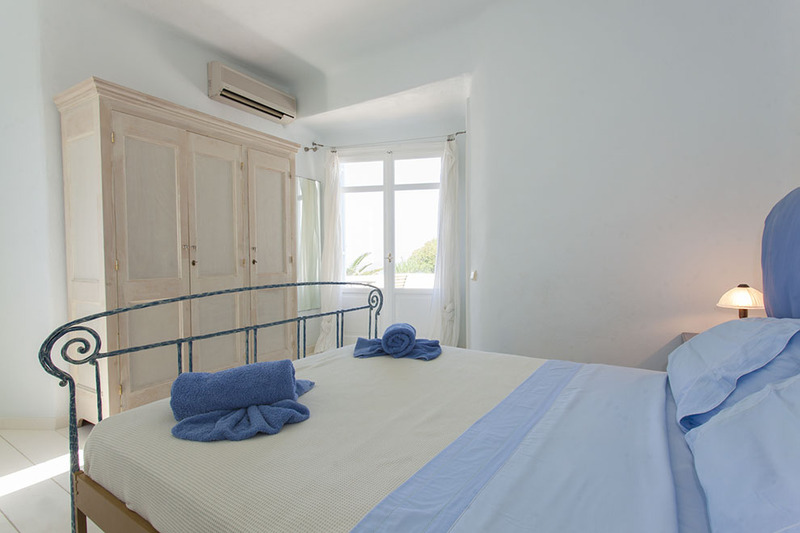 Cozy decorated master bedrooms, all with a panoramic view, promise you congenial hospitality. 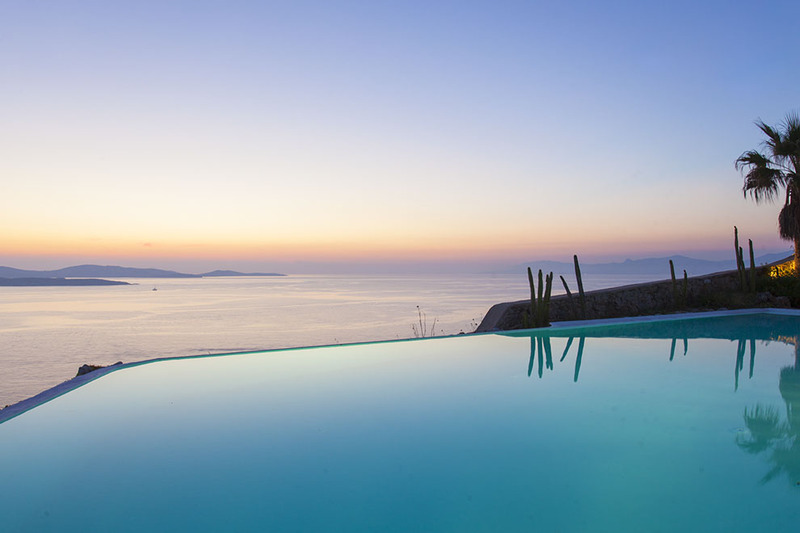 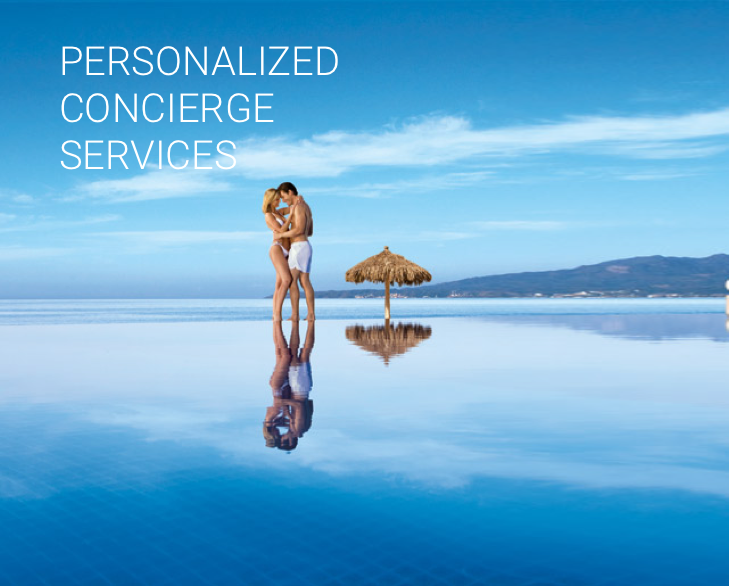 The spacious infinity pool operates mentally connects with the endless blue of the sea, surrounded by sun beds, living and and dining pool area idyllic for dinners or cocktail happenings. 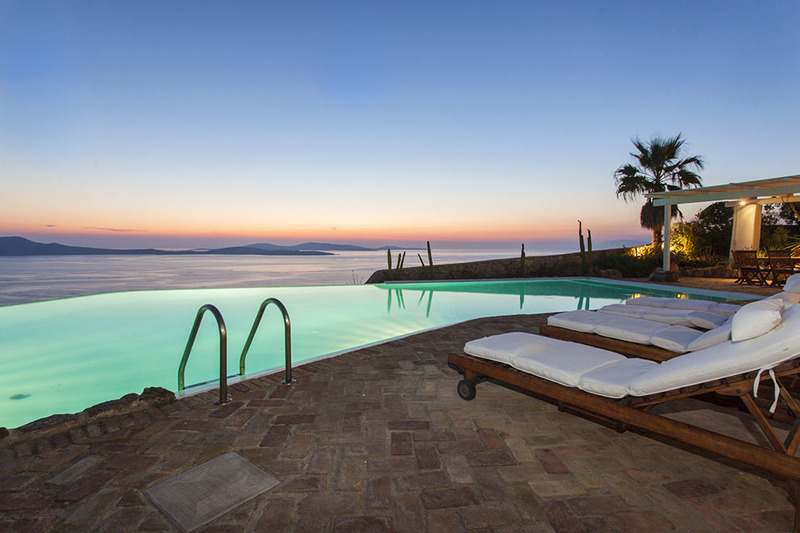 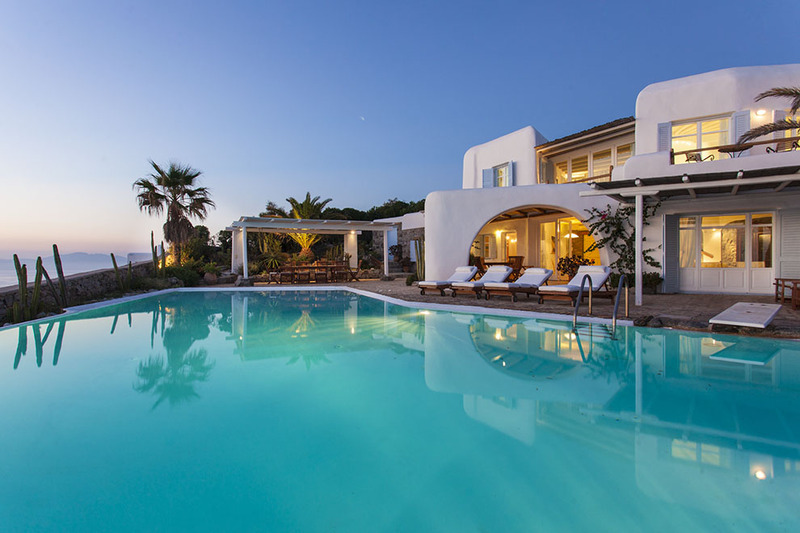 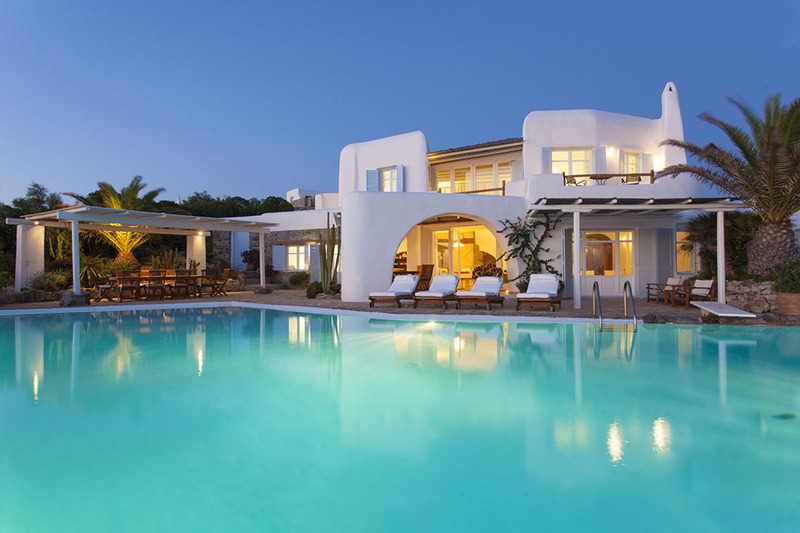 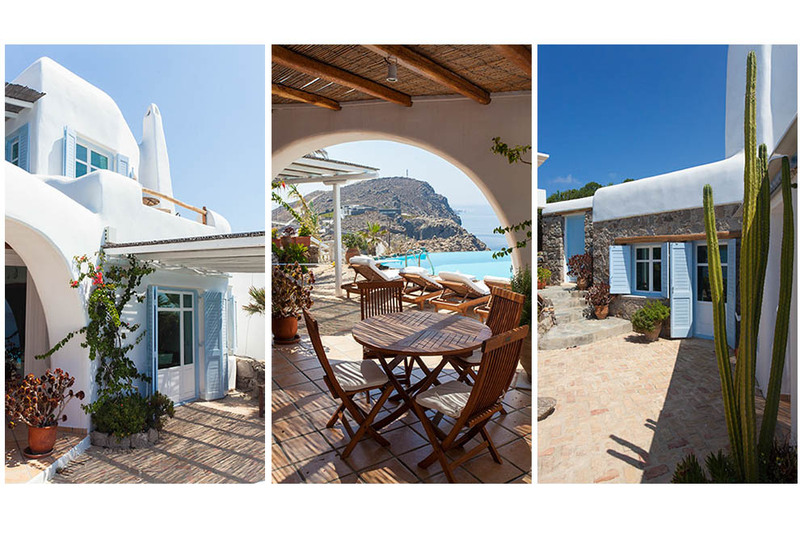 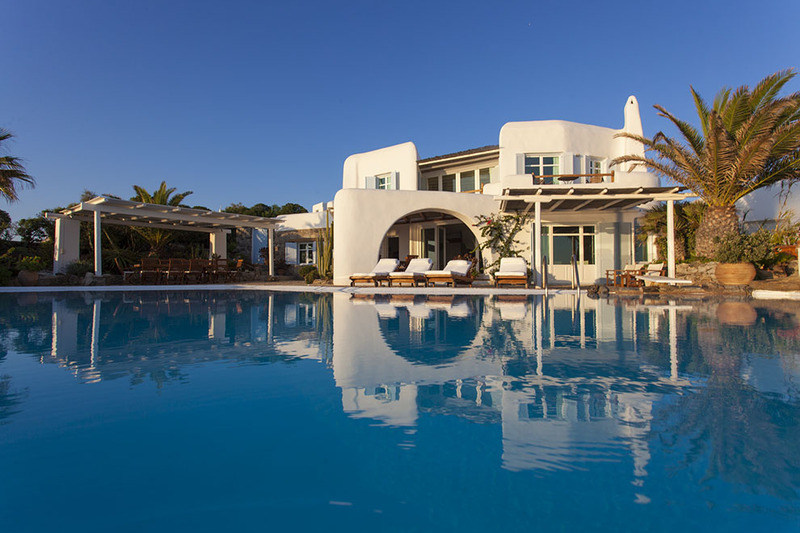 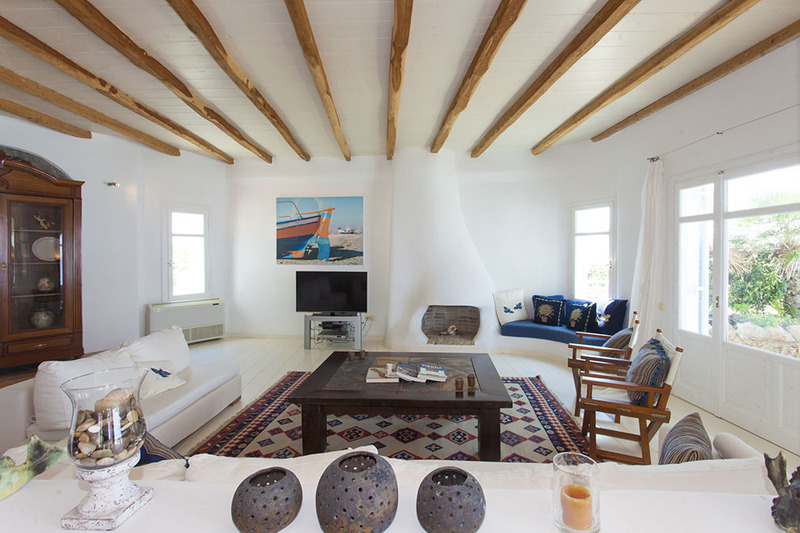 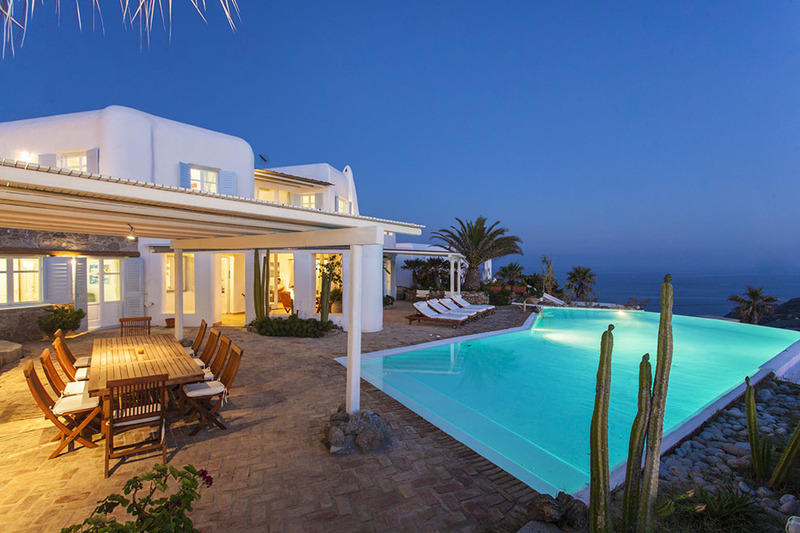 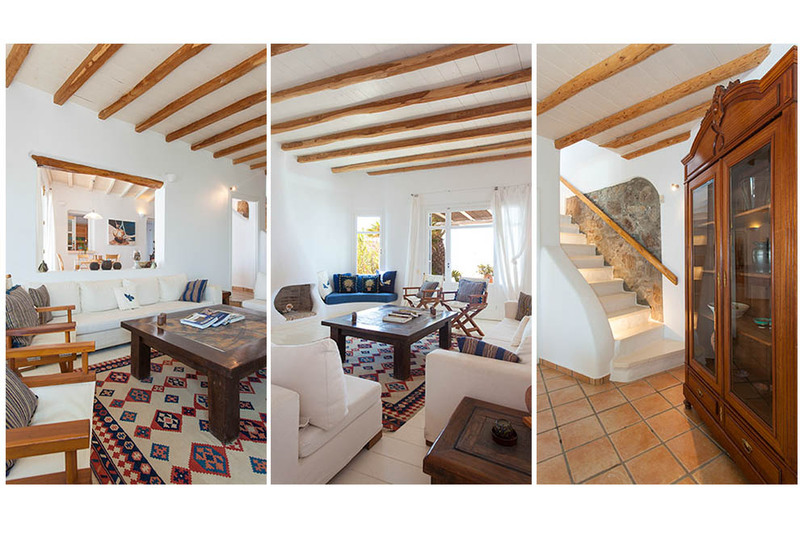 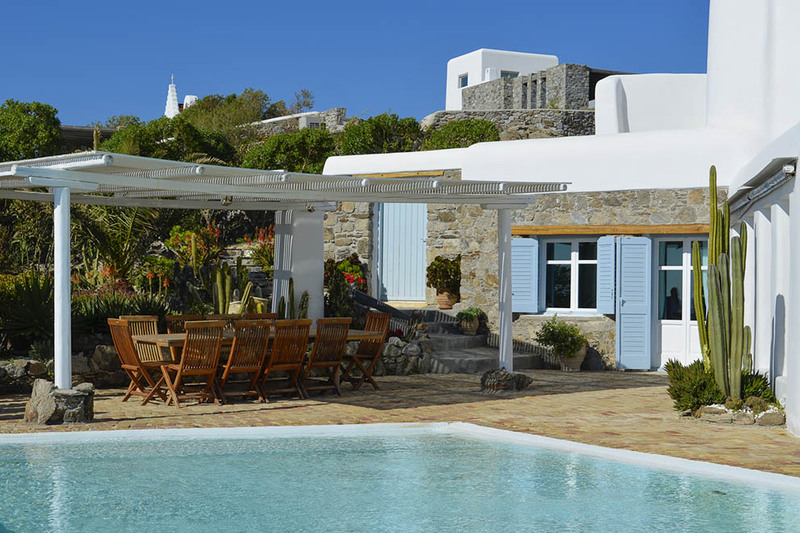 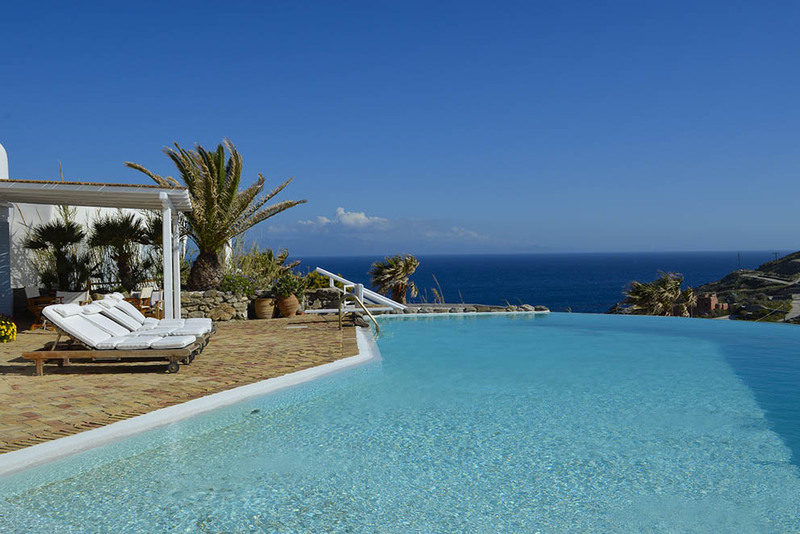 Villa Infinity is ideal for small groups with easy access to the divine Mykonos Town with its picturesque narrow cobbled streets and the intense cosmopolitan night life.